Lacy and Christina at a Baraat. 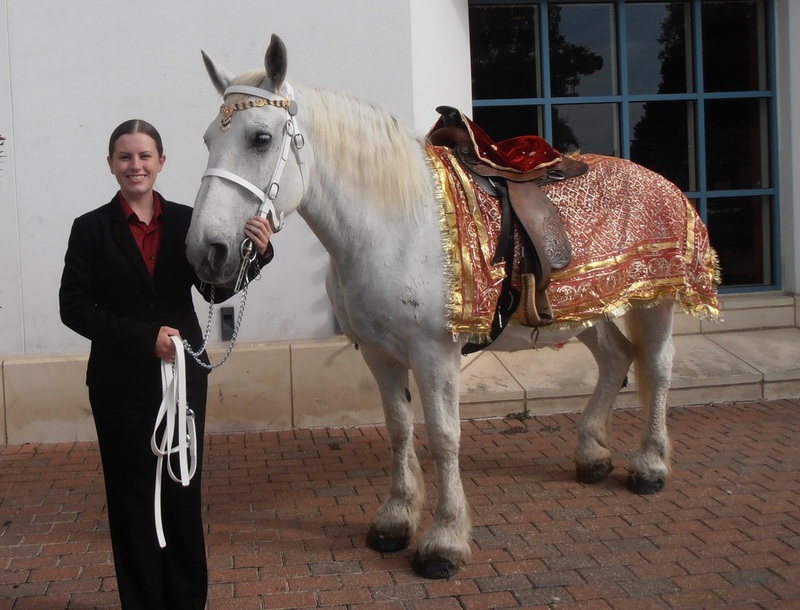 White Horse and Carriage Company started in 2009 with one horse, Lacy, and one carriage. We have expanded and are proud to offer a fleet of vehicles to serve you. White Horse and Carriage Company specializes in making memorable events unforgettable. We are available for weddings, Quinceañeras, parades, proms, Christmas parties, photo shoots, and much more! If you can imagine it, we can make it happen. Take a look around our website, and if you feel like we're a good match, contact us to start planning your event! You can also like us on Facebook to see updates and view photos from past events.